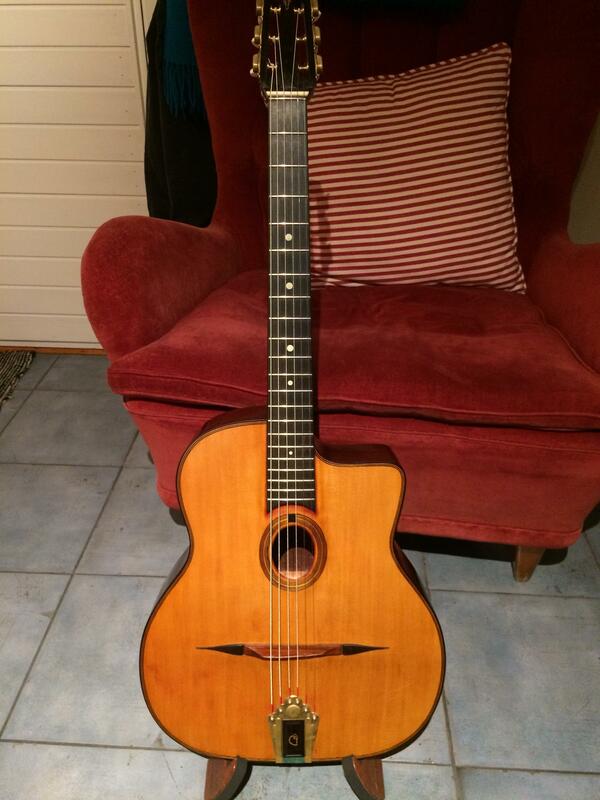 I’m selling my Jean Barault gypsy jazz guitar. 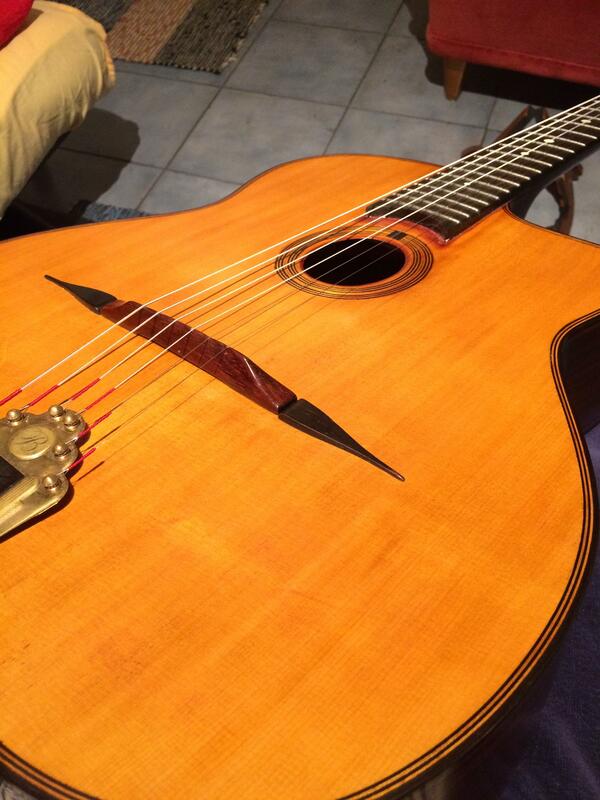 I ordered the guitar directly from Jean Barault and received the guitar end of 2013. I’ve played it a lot and it has served well hundreds of gigs. It’s a really unique sounding guitar with a wild and loud resonance. You can really feel it resonating against your body when you play it and one reason for this could be the super light weight around 1.7kg. 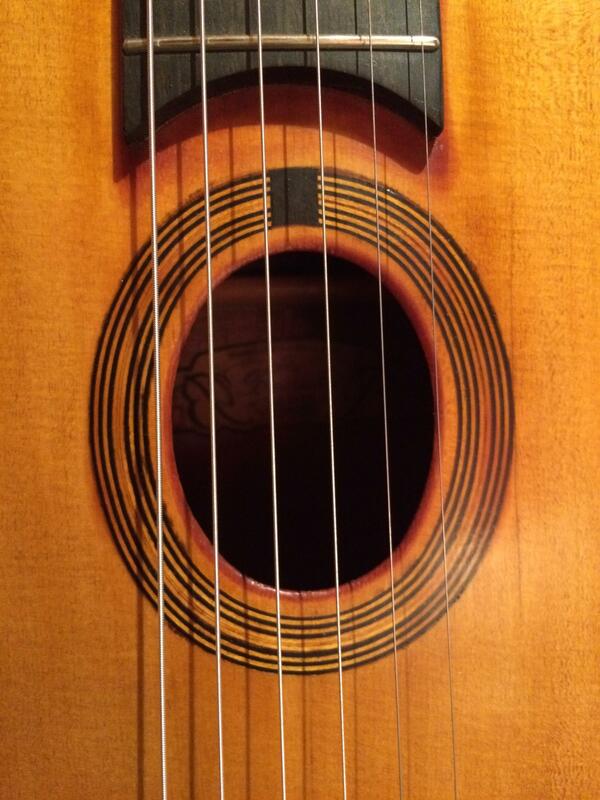 The top of the guitar is incredibly thin and you can easily bend it with your thumb. The top is spruce, back and sides rosewood, neck walnut, fingerboard ebony and Jean Barault tuners. The original hard case included (the handle is broken). If a typical gypsy jazz guitar doesn’t have much bass and is dominant in the middle and high frequencies, this guitar has much wider frequency response with deep and resonant bass. If you know what it means when a guitar barks, imagine a guitar that screams when you dig the g-string! The sound is also very dry with no boominess in the bass which makes this pretty easy guitar to play concerts with just putting a microphone in front of it. It’s a loud and delicate guitar and a soft touch brings the best qualities out of it for example in a recording sessions or when played in a room. The action is now 2.5mm/2.9mm with moderate relief. The top and back of the guitar has been refinished with shellac because the original lacquer had been suffered too much. After refinishing the guitar actually sounds more open and even louder than before. It’s now in pretty good condition taking into account the years of gigging with some dings and scratches here and there mostly on the sides. 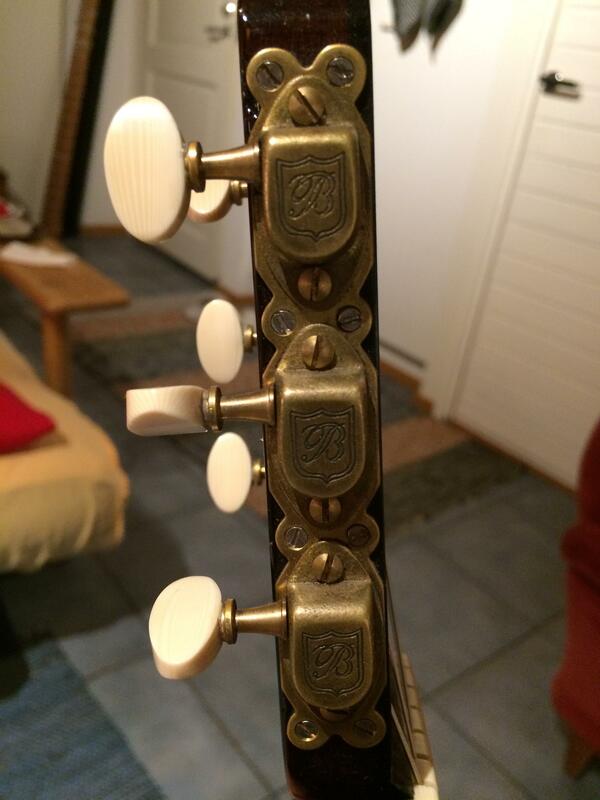 The top of the guitar is stable and hasn’t changed over the years. 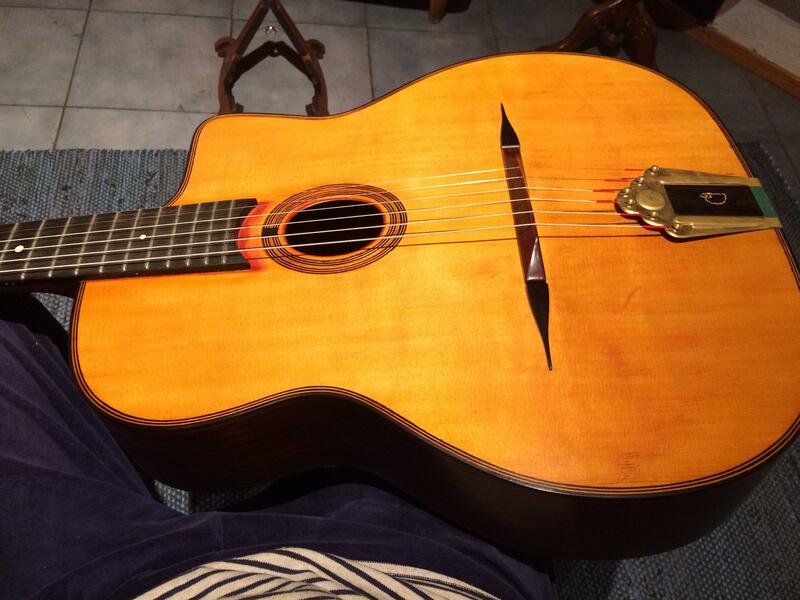 When I received the guitar from Jean Barault there was a crack near the sound hole which was repaired and hidden well by Jean Barault. I didn’t actually notice this until I looked inside the guitar with a mirror. Anyway the top of the guitar is in good condition. The frets have been changed in same style as originals with rounded ends and height. They are still in good condition with only a minor wear. 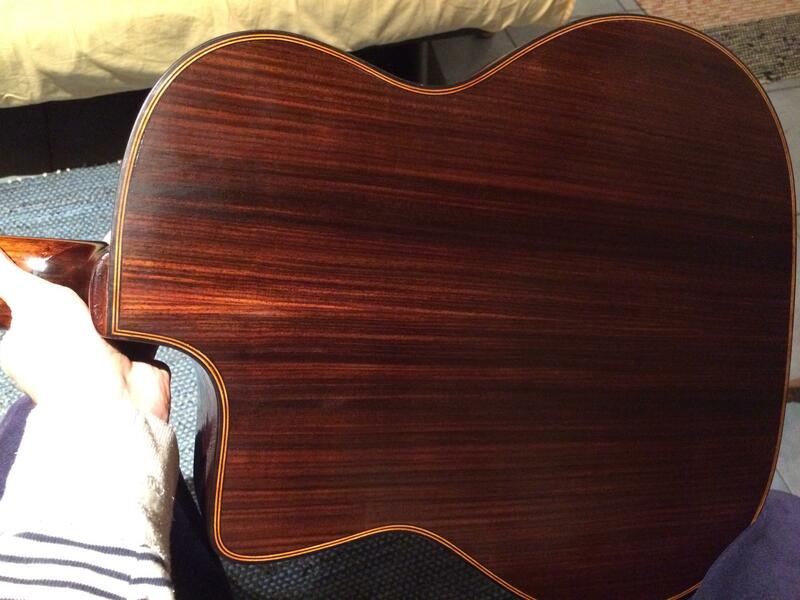 The guitar has been inspected by a respected luthier and there should not be any surprises for the buyer. If you’re interested write me a private message (kettusentomi@gmail.com) and I’ll give you more details! Price 2700 euros plus shipping. 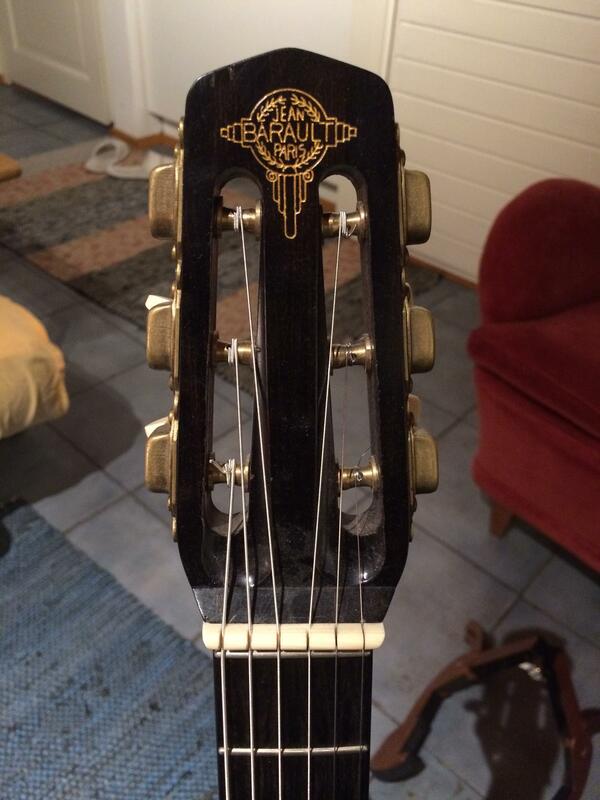 The guitar is now in Finland. The price is lowered to 2700 euros. I also added some more pictures (dropbox link) and details to the text. So I'm curious, what took the place of Barault? Oh no! That means you're out of the genre!? What did Aki say to that? Cool guitar choice though. And you certainly made the Barault sing. Haha. Don't worry. 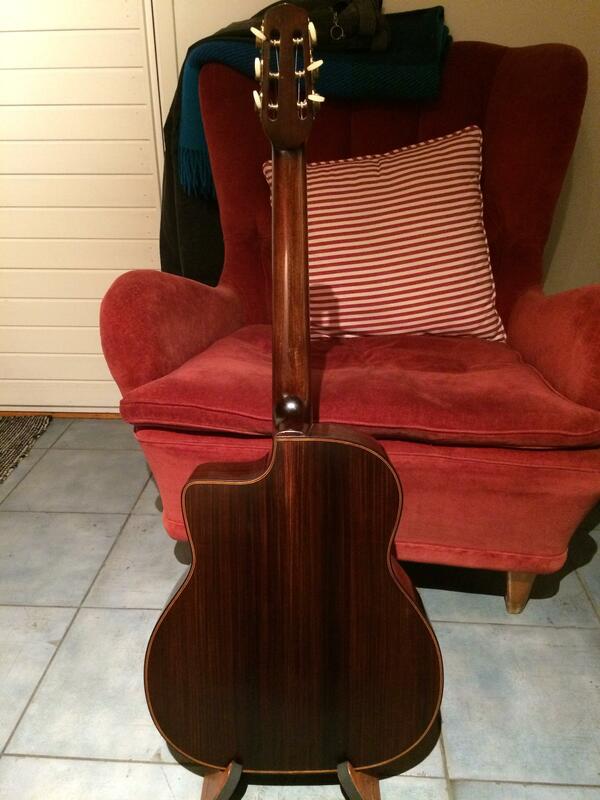 I still have a gypsy jazz guitar that's more suitable to travel around (Vit Cach).